Important Daily Current Affairs 2017 2018 & events of National & International Importance are summarised here day wise. 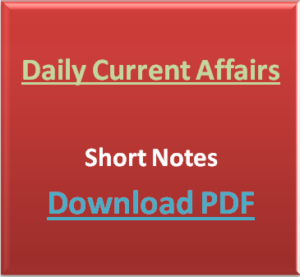 Short Notes of daily and monthly current affairs will be published in PDF format also. 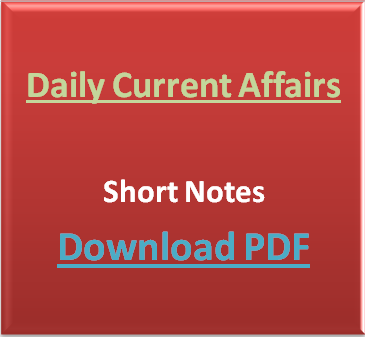 You can download the Current Affairs 2017 2018 short notes for free in PDF format. Important National, International, Sports, States important current events will be listed here in short format which will help you remembering easily. These latest current affairs notes 2017 2018 will be helpful for Competitive exam (Govt Jobs) like SSC, Railway, PSC, State Civil Service, Clerk, UPSC, Bank exams. We update the current affairs section regularly.